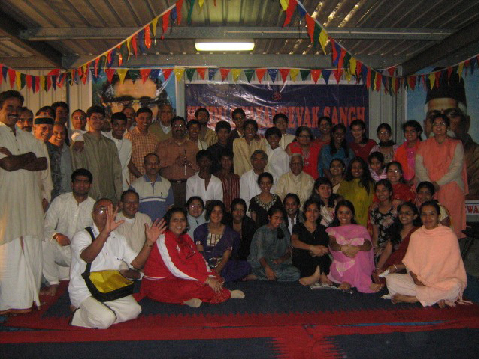 Hindu Swayamsevak Sangh (HSS) Australia is a voluntary, non-profit, social and cultural organization. Sangh, as the organization is popularly known, aims to organize the Hindu community in order to preserve, practice and promote Hindu ideals and values. HSS conducts structured programs of regular athletic and academic activities to develop strong character and leadership skills in its members (known as swayamsevaks for men and sevikas for women), emphasizing values such as self-discipline, self-confidence and a spirit of selfless service (sewa) for humanity. We encourage maintaining Hindu cultural identity in harmony with the larger community.